WASHINGTON—Challenging any insinuation that he would ever say anything of the kind, Representative Steve King (R-IA) vehemently denied Tuesday comparing immigrants to people. 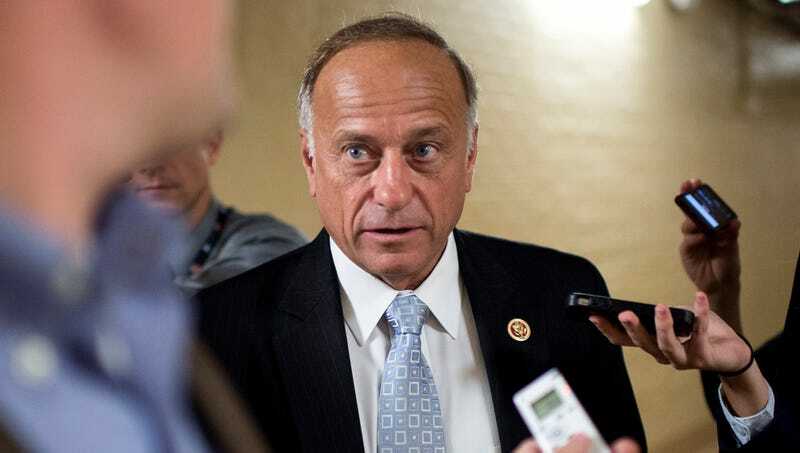 “I would never, under any circumstances, say something so despicable,” said King, who was recently elected to his ninth congressional term, adding that any accusations of him claiming migrants were human beings with rights, emotions, and cognitive development were completely false and crossed a line. “Everyone who knows me knows that I’ve never believed that immigrants are people, and any suggestion otherwise is utterly baseless. It makes me sick to think that the media is trying to smear me by spreading lies that I think any immigrant or refugee should be considered a person who in any way deserves basic respect or legal protections. Don’t you dare associate me with any monster who thinks that way.” At press time, King was vigorously denying claims that he had made the comment “I want to respect all people” by declaring there wasn’t a moral bone in his body.